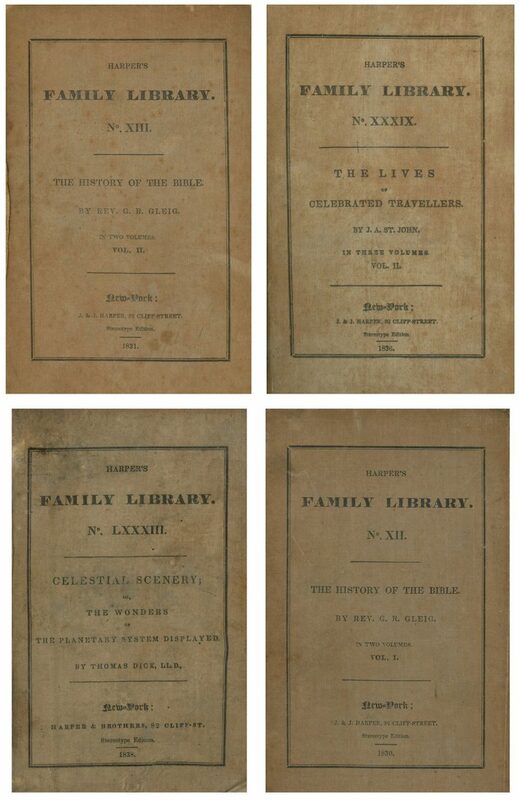 Title pages of several books featured in Harper’s Family Library in the 1830s, including The History of the Bible and The Lives of Celebrated Travelers. Beginning in 1830, the Harper brothers believed that the increasingly literate populace might clamor for turnkey collections. They created collections that allowed readers to amass an entire library instead of buying just a single book. Harper’s Boys and Girls’ Library (1831) and Classical Library (1831) were popular, but the nonfiction-focused Harper’s Family Library (1830) and Harper’s School District Library (1838) were truly breakout successes. Harper’s Family Library grew to include 187 titles of history, biography, and travel. 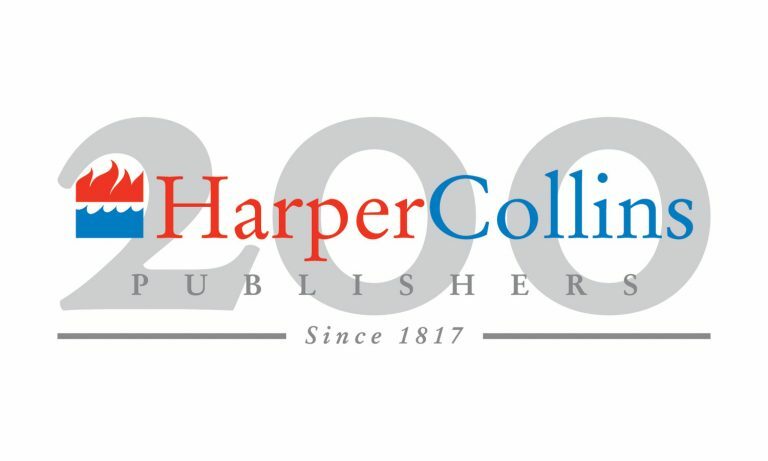 With mandatory education on the rise in the United States, Harper’s School District Library became a required purchase by school boards and ultimately came to include some 295 volumes, with an estimated 630,000 volumes distributed in 10,886 libraries by 1841. Meanwhile, in the UK, the Education Act of 1870 led to mandatory school attendance laws in 1880. These measures created increased demand for instructional books. In 1861, Nelson & Sons launched the Royal Readers and Royal School series. From 1878 to 1881, educational books comprised nearly 90 percent of the company’s profit. William Collins’s background as a schoolteacher led him to publish million-selling textbooks like the Complete System of Practical Arithmetic (1849) as well as dictionaries and Collins’s first atlas (1856). When his father died in 1853, William Collins Jr. published educational materials with even greater zeal. In 1862, he was appointed publisher to the Scottish School Book Association and Irish National Board, furnishing the latter with 2.3 million copies over the course of ten years. 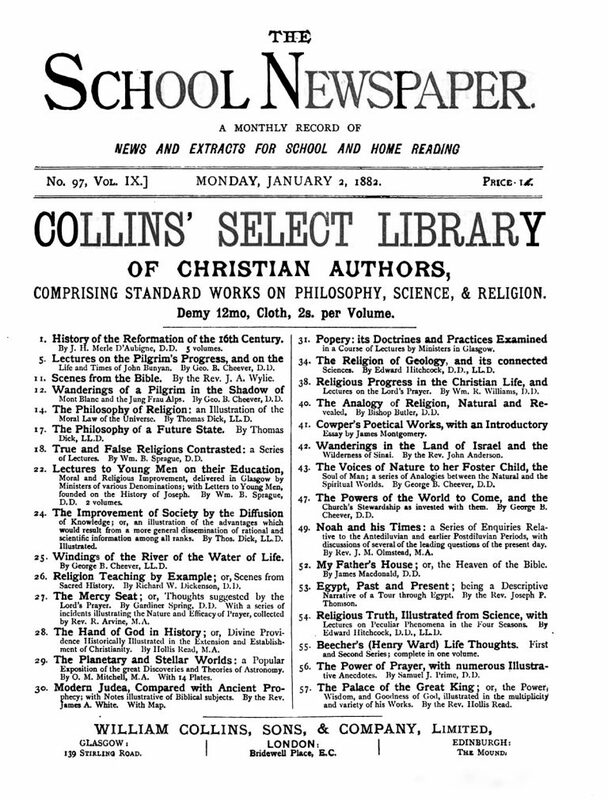 Collins published more than 500 titles for schools in 1865, and nearly 1,000 ten years later. 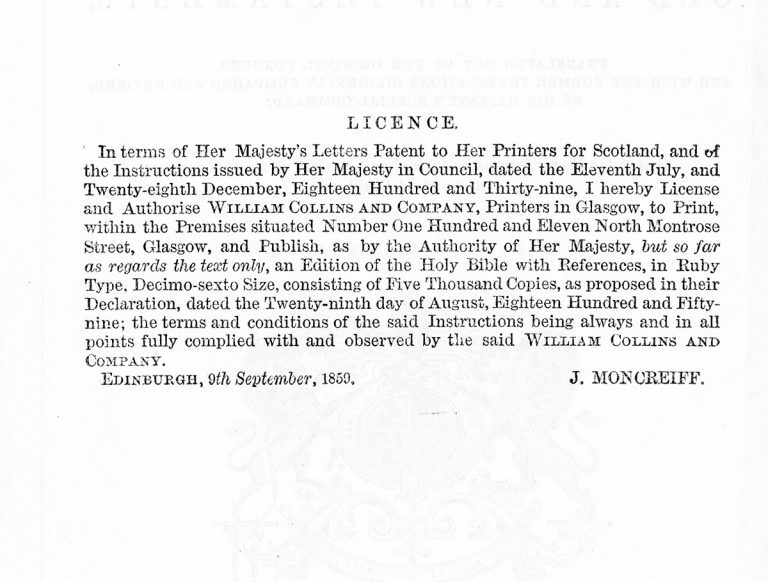 By 1875, he bought out the Scottish School Book Association and supplied the books directly to schools.